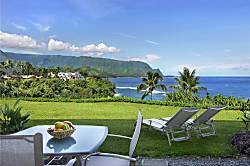 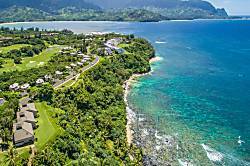 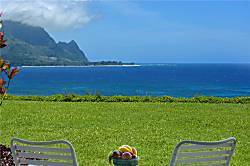 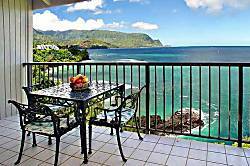 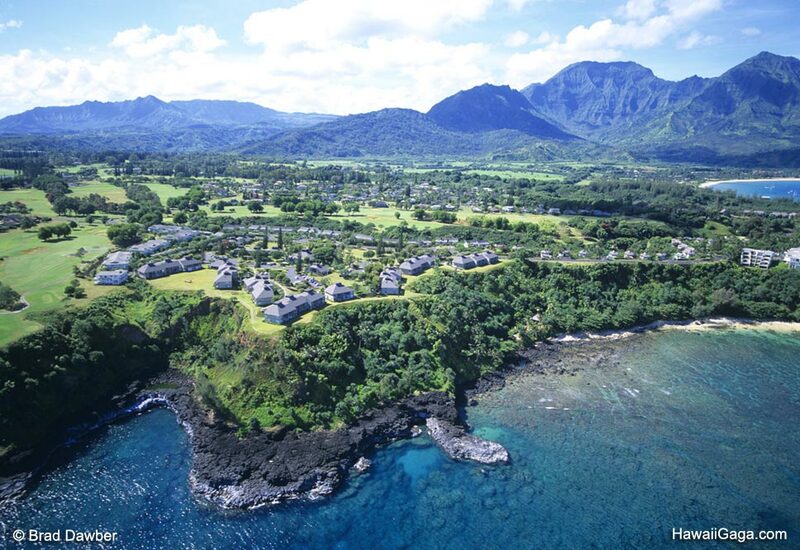 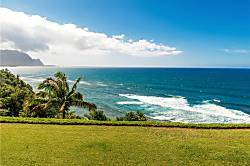 Pali Ke Kua is a condo complex located on a cliff in Princeville. 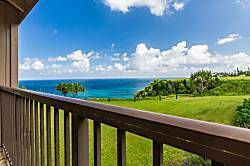 Many units command nice ocean views, and the summer time sunsets from Pali Ke Kua are among the best the north shore has to offer. 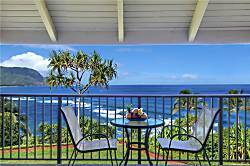 The resort features a pool and hot tub, and is located within walking distance of Hideaways Beach and the St Regis Hotel. 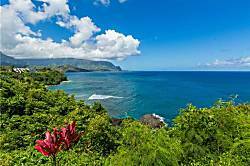 Another beach, the sister of Hideaways, is located directly below Pali Ke Kua and accessed via a steep paved path. 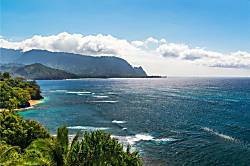 This small beach doesn't offer much swimming, but is a pleasant place to spend time in the summer when the ocean is calm. 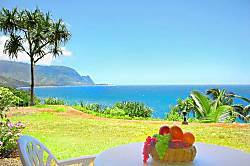 There is a picnic BBQ area. 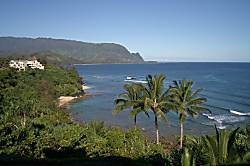 There are also some snorkeling options, including swimming over to Hideaways. 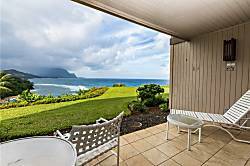 1 bedroom, 1 bath condo. 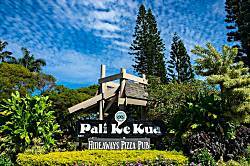 From Pali Ke Kua #118, you can walk to the on-site restaurant Sabella's. 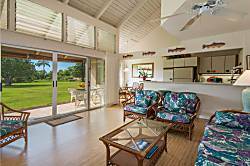 Golf and tennis are a short stroll away. 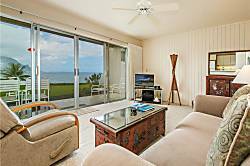 Just out the sliding glass door is a paved beach trail leading to a white sand beach (Pictured Above) and a private recreation area. 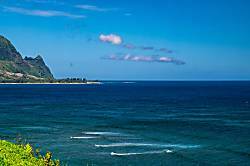 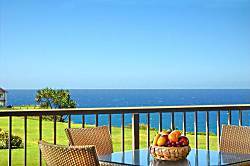 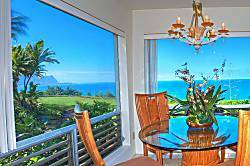 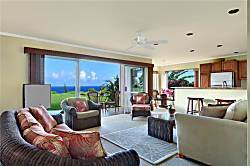 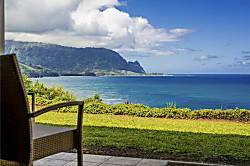 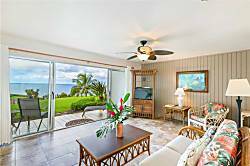 Pali Ke Kua #241 is a premiere ocean side condominium located in the luxurious Princeville Resort on the north shore of the island of Kauai . 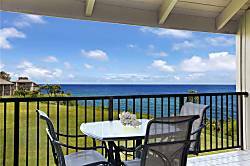 Perched on an ocean bluff near HANALEI BAY, Pali Ke Kua Unit #204 is a two bedroom, two bath, second floor unit with sweeping ocean views. 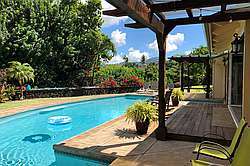 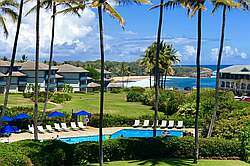 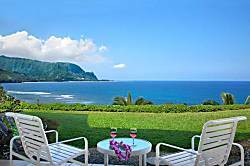 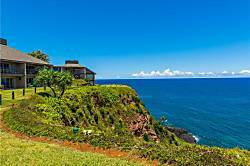 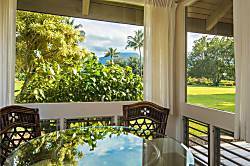 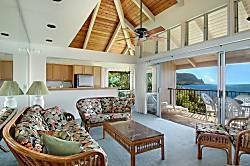 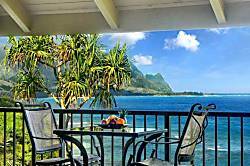 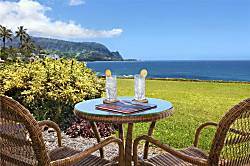 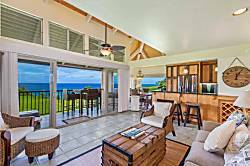 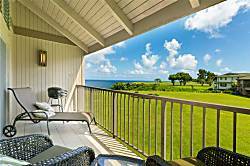 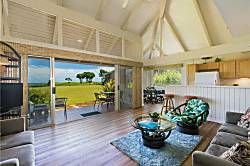 Pali Ke Kua #204 is located in the Princeville Resort on Kauai's verdant North Shore. 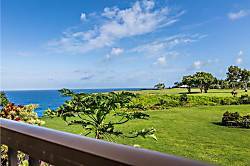 Discover Poipu Kai Resort. 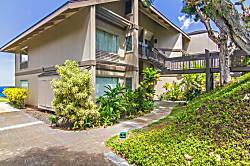 Affordable 1-4 bedroom condos in sunny Poipu. 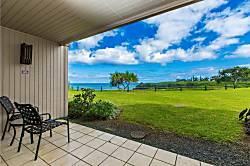 You can't get any closer to the ocean on Kauai than this beautiful ground floor unit.